BYU did not make a huge splash on national signing day on Wednesday in terms of reeling in a slew of highly rated recruits. The Cougars brought in a 2017 class mostly composed of players who committed early and flew under the radar. Major recruiting services ranked BYU’s class solidly in the middle of the pack among FBS teams. The Cougars’ 2017 class was rated 58th nationally by Scout, 62nd by Rivals and 66th by 247 Sports. 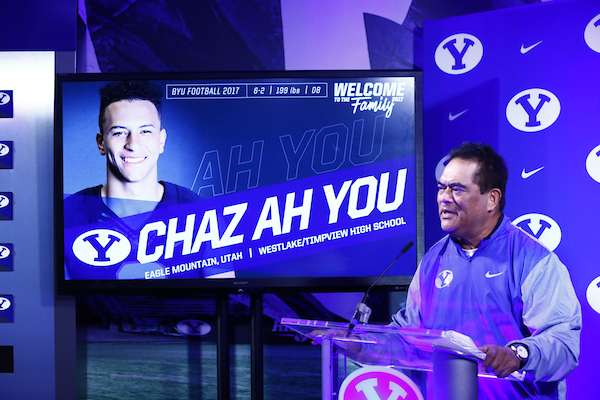 The lack of hype surrounding many of BYU’s newest players hasn’t dimmed head coach Kalani Sitake’s for the newest additions to the football program. Sitake looks at them and sees players who have tons of potential to fill needs wherever their talents make them a good fit. The Cougars did target some highly-rated players for their 2017 class with mixed results. Here’s a quick look at their biggest recruiting wins and losses on national signing day. Little doubt existed that Ah You would eventually join the Cougars. It didn’t stop a host of Power 5 schools from pursuing the 4-star Timpview safety. Ah You eventually chose BYU over UCLA, Stanford and Washington. The Cougars have landed a player who can make an immediate impact in the secondary. Ah You started all four years at Westlake and Timpview. His versatility, speed and athleticism allowed him to play multiple positions on offense, defense and special teams. During his senior season with the Thunderbirds, Ah You totaled 56 tackles and two interceptions on defense and tallied nearly 600 receiving yards and four touchdowns on offense. BYU needed a gifted pass rusher on the edge to beef up an already tough defense. 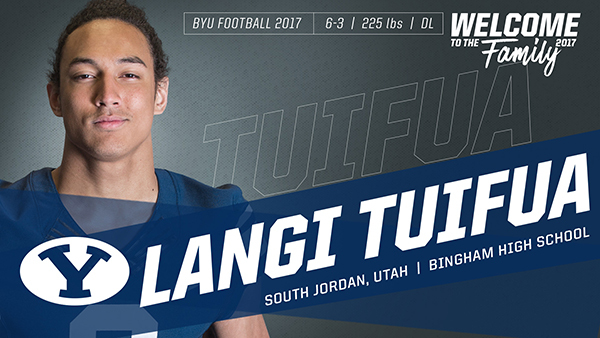 The Cougars got exactly what they wanted with Tuifua. While at Bingham, Tuifua helped lead the Miners to three Class 5A titles in four years with his disruptive playmaking abilities up front. He totaled 71 tackles, 15 sacks and 22 quarterback hurries in his senior season alone. A four-star defensive end, Tuifua originally committed to Utah and then Oregon before deciding on BYU. He is excited to be a part of a defense that fits with his own personal playing style. Lone Peak doesn’t just produce highly rated basketball players. McChesney turned heads for what he could do on the football field for the Knights. He was rated the No. 1 running back in Utah and ranked in the Top 10 in the West. McChesney churned out more than 1,000 yards of total offense in each of his final two seasons at Lone Peak. He may find a place at BYU both as a runner and a slot receiver. McChesney totaled more than 700 yards rushing and 500 yards receiving during his senior season with the Knights. 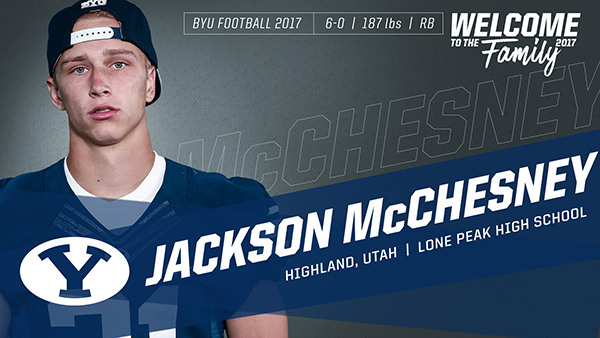 Alabama, Auburn, Notre Dame, Oregon, Oregon State, Stanford, Washington and Utah all recruited McChesney before the 3-star running back chose BYU. 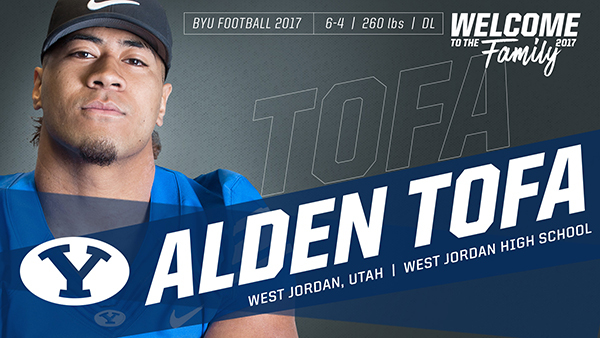 Tofa fits the mold of defensive player that Sitake wants. He is a strong, physical defensive end who can wear down opponents in the trenches. Tofa ranked as the No. 2 defensive end in Utah. As a senior at West Jordan, he posted 56 tackles and three sacks. Tofa finished his high school career with 161 tackles. The 3-star lineman chose BYU after also being recruited by Utah, UCLA, Stanford, Oregon, Colorado, Oregon State, Washington State, Arizona, Arizona State, Vanderbilt, Virginia and Notre Dame. He is expected to serve an LDS mission before joining the Cougars in 2019. Having a ton of versatile players is something Sitake likes most about BYU’s 2017 signing class. Ellis fits that mold perfectly. 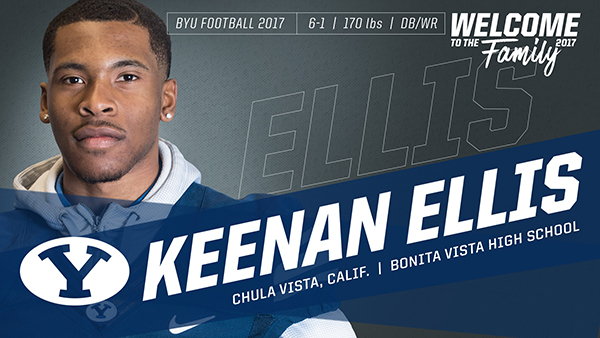 The 3-star athlete played at defensive back and wide receiver while attending Bonita Vista High in California. Ellis tallied 972 yards and nine touchdowns on 41 catches as a senior. He also totaled 235 yards and a touchdown on kickoff returns. Ellis has the sort of speed that will be useful on either side of the ball. He won state track championships in the 200 meters and 400 meters. LSU, California, Washington, Arizona State, West Virginia and Illinois all recruited Ellis before he picked BYU. BYU signed several players from Bingham on Wednesday, but missed out on the biggest prize of the Miners’ senior class. Tufele, a 5-star defensive tackle, ranked among the Top 50 prospects nationally and was the No. 1 rated defensive player in Utah. BYU made the cut with Utah, USC, Michigan and Ohio State as one of his final five schools. That’s as close as the Cougars got to landing him. It came down to USC or Utah in the end and Tufele decided on the Trojans two days before signing day. “They’ve got something really special going on down there and I want to be a part of it,” Tufele said. It’s rare when BYU loses a top prospect from its own backyard. That’s what happened in the case of Jones. A 4-star wide receiver out of Provo High, Jones has good size and an electric set of playmaking abilities that could make him a standout at the next level. BYU made Jones his first scholarship offer, but the interest from the hometown receiver was always lukewarm at best. Jones initially committed to Utah in 2015 before switching to Washington. He stayed firm with the Huskies and signed with the defending Pac-12 champions on Wednesday. 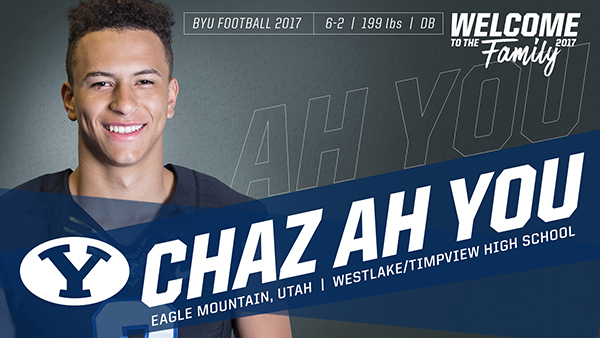 BYU made a late charge at reeling in the three-star defensive back from California. The Cougars offered Smith in October and brought him for an official campus visit in late January. Smith intrigued them with his speed and coverage abilities at cornerback. Smith considered BYU along with UCLA and California before committing to the Bears on signing day. Martin offered potential to be a game-changing receiver in BYU’s pro-style offense. He is a speedy receiver and reliable pass catcher who fits well in any scheme. The Cougars pursued him over the summer, but had a long-shot chance of reeling in the 4-star receiver from Iowa. Martin also considered Michigan, Iowa, Ohio State, Notre Dame, Michigan State, Auburn, Florida and UCLA. He ultimately signed with the Wolverines. Some signing day projections had Lolohea as a lock to sign with BYU. The 3-star defensive end from East already had family ties with the team since his older brother A.J. 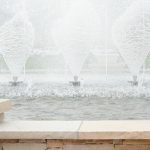 joined BYU as a mid-year addition after returning from an LDS mission to Tonga. Lolohea bucked conventional wisdom and picked Washington on signing day over BYU and Utah. Lolohea will join the Huskies in 2019 after serving an LDS mission. He is a tough defender that will add to an already strong defense in Seattle. As a senior at East, Lolohea was credited with 98 tackles and 23 sacks.